Stormshadow Guitarworks SS0018 Vanquish Bolt On Series. 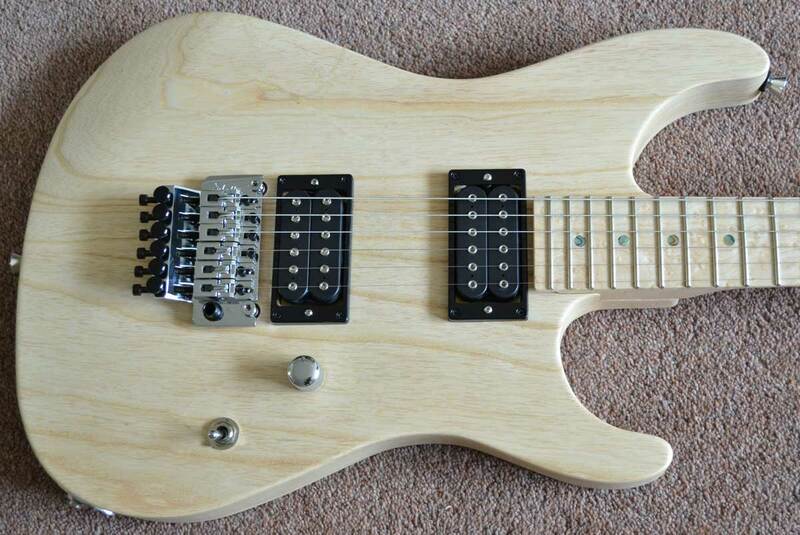 2pc Natural Swamp Ash with AAA Birdseye Neck & Board, Reversed Head & DiMarzio Pickups !! !Available USED in Good Condition with DiMarzio AT-1 in Bridge !!! !! !Available USED in Good Condition with DiMarzio AT-1 in Bridge !!! I've had this guitar for about 5 months or so now and use it as my main gig guitar. The workmanship is excellent, everything is finished off superbly and it is VERY comfortable to play. Stays in tune perfectly, even with excessive trem use (if there is such a thing ;-). I've had many compliments on both how it looks and sounds. It's not let me down yet and don't expect it will any time soon. If you're after a quality guitar that sounds great, plays great, and stays in tune. You can't go wrong with one of these.